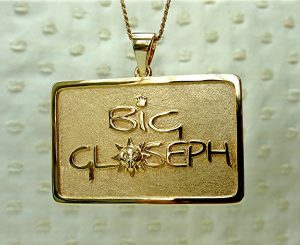 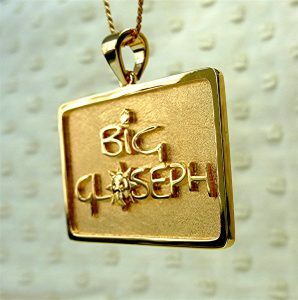 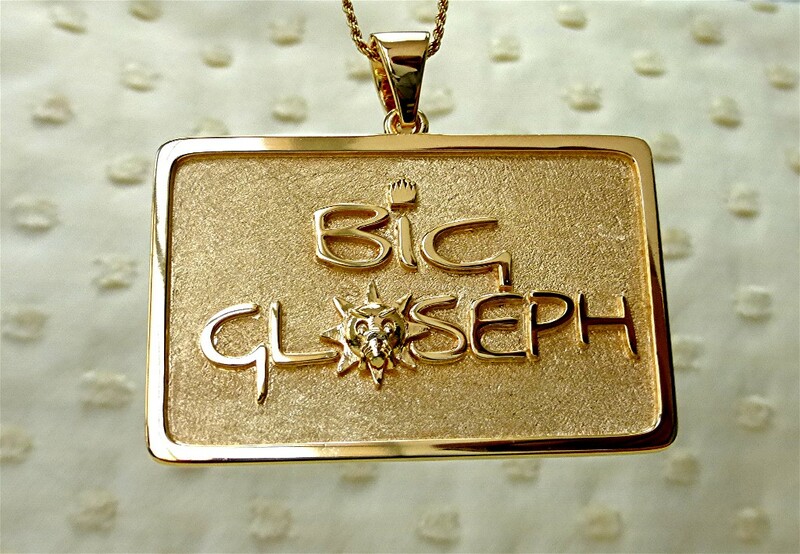 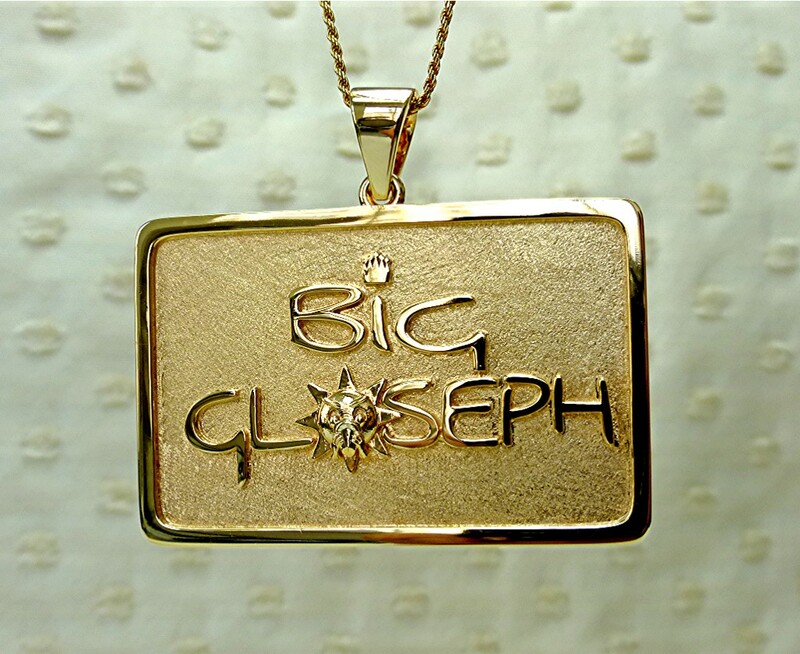 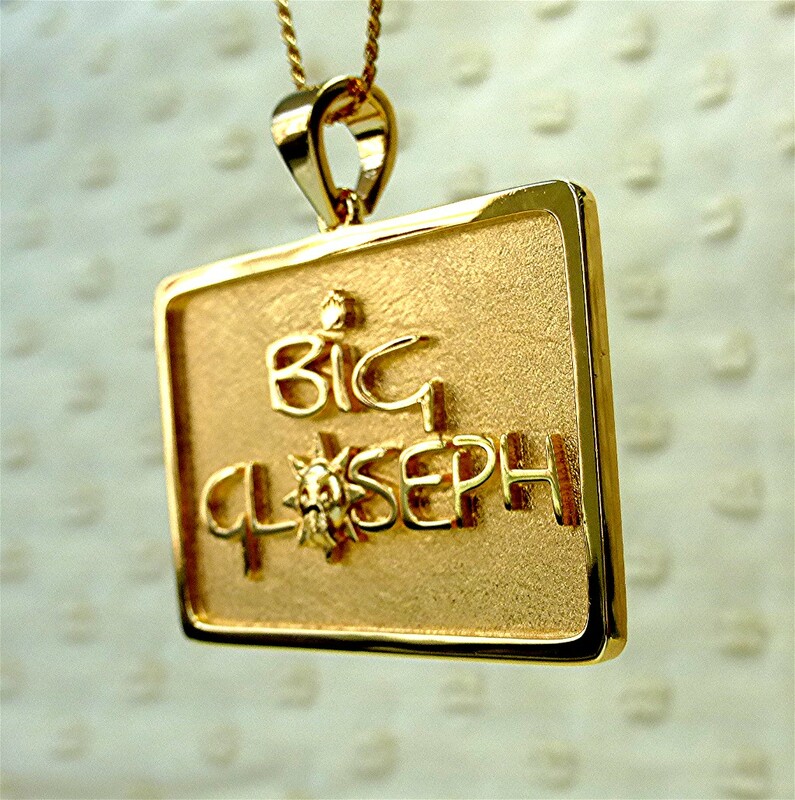 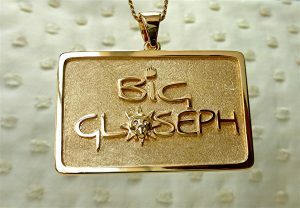 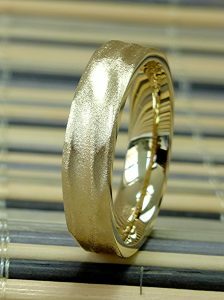 Made of gold plated silver, two inches wide. 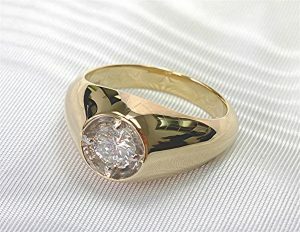 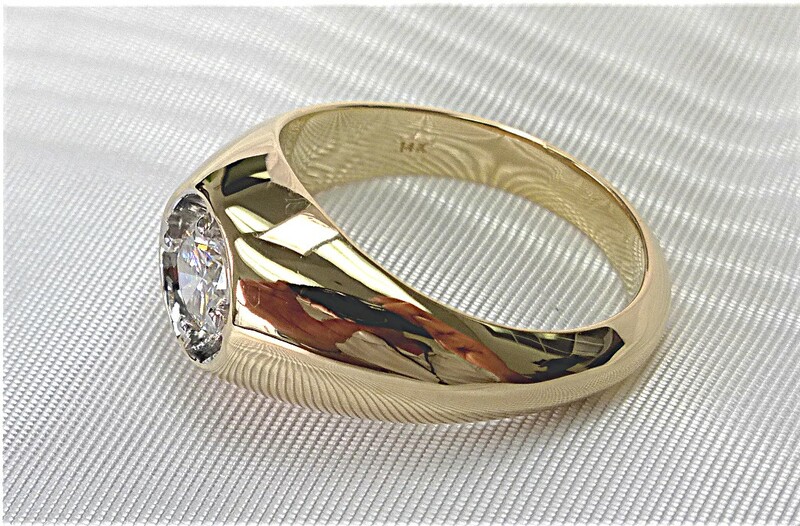 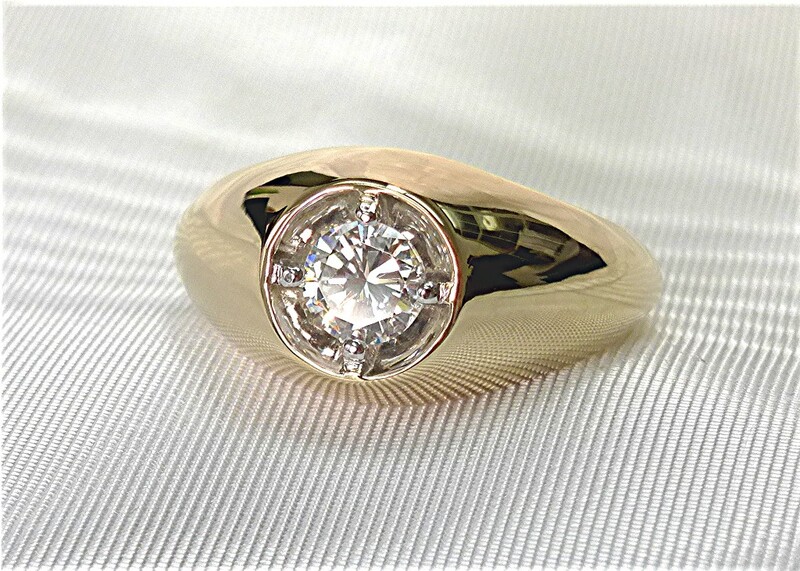 Made of 14k yellow gold and 0.54 carat round brilliant cut. 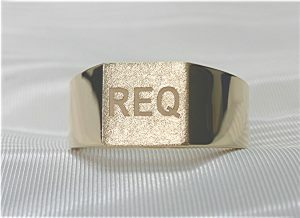 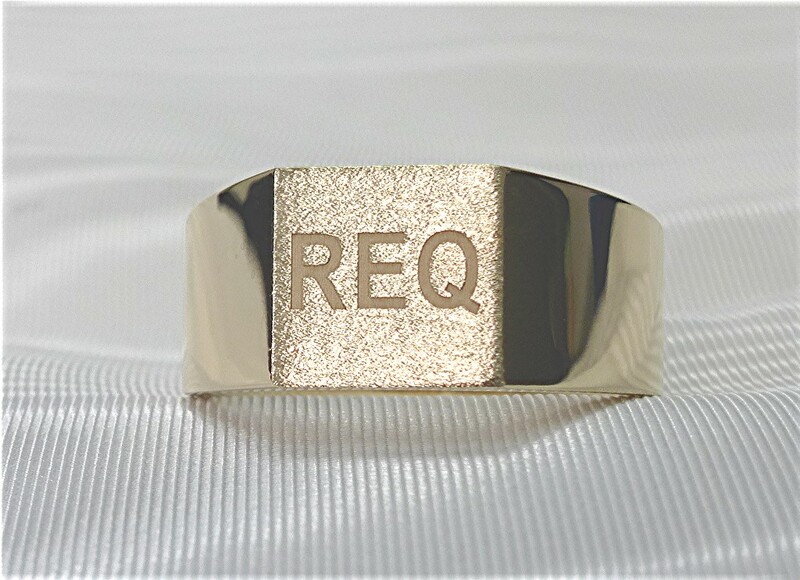 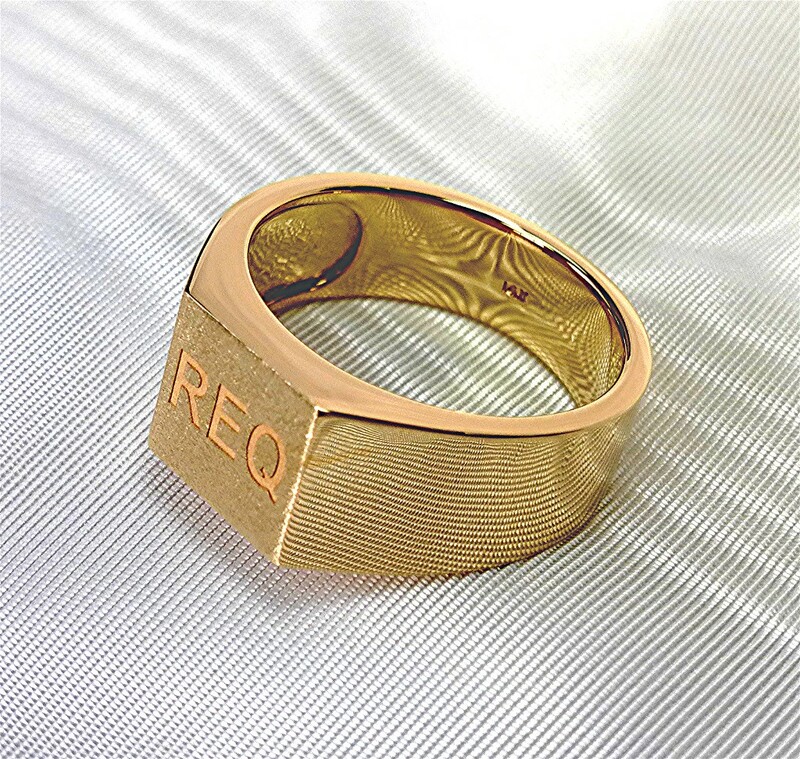 14k gold, 10-millimeter-wide ring with brushed top and engraved initials. 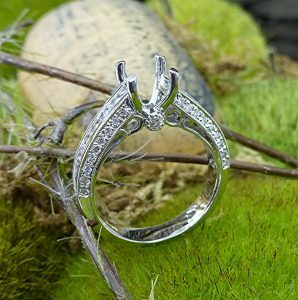 Center stone is 1.20 carat radiant cut diamond mounted in 14k white gold ring with six prong set diamond on shoulders and 12 more micro pave-set on two sides of the ring for total of 0.30 carat. It is designed for 7mm round center diamond. 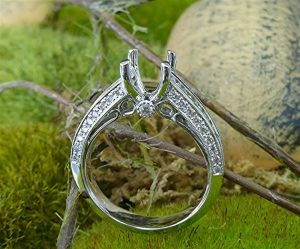 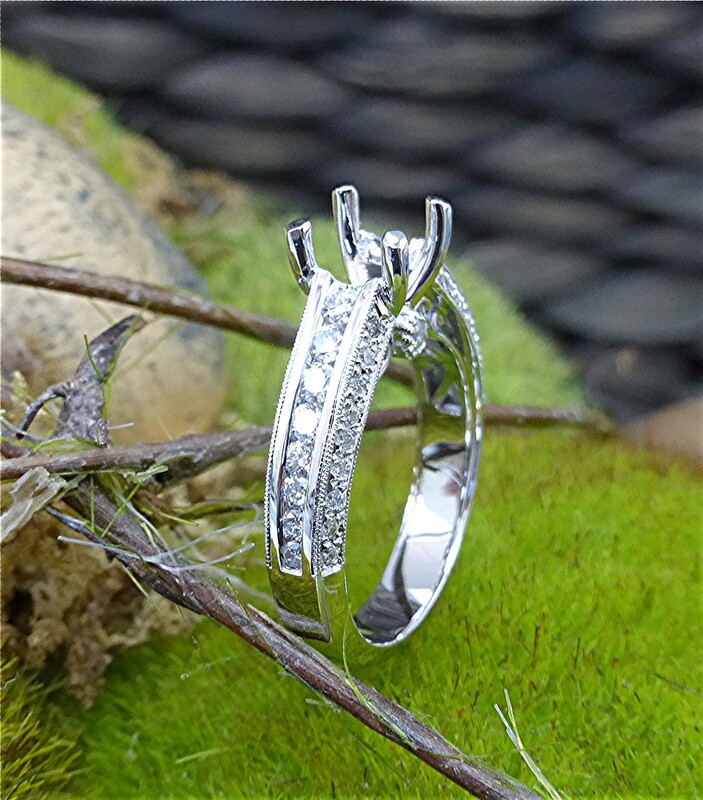 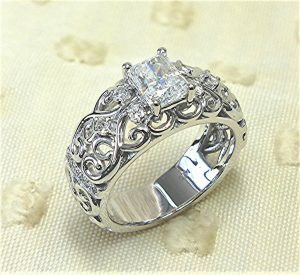 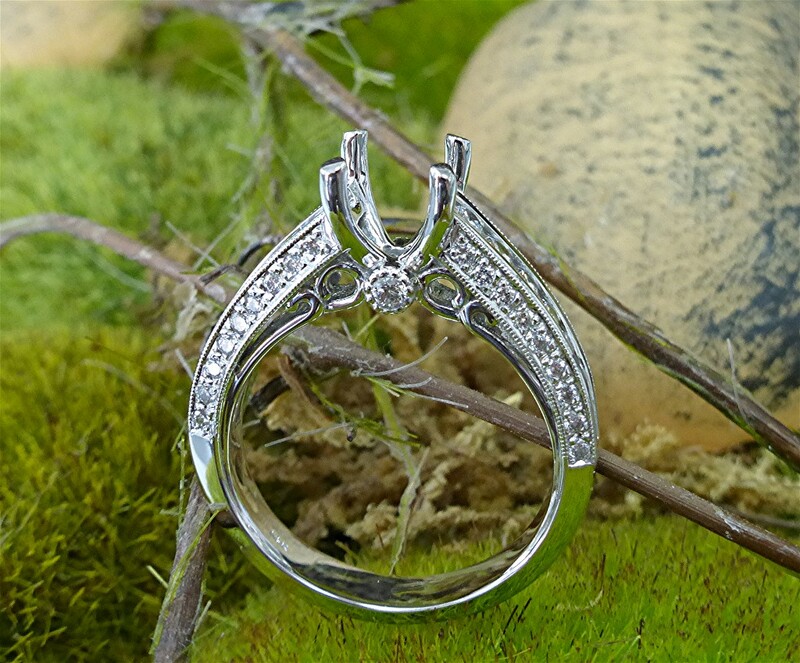 14k white gold mounting has Total of 54 round brilliant cut diamonds weighing 0.81ct. Sixteen stone channel set on top of the shank and 38 more stones are micro pave set on the profiles side of the ring. 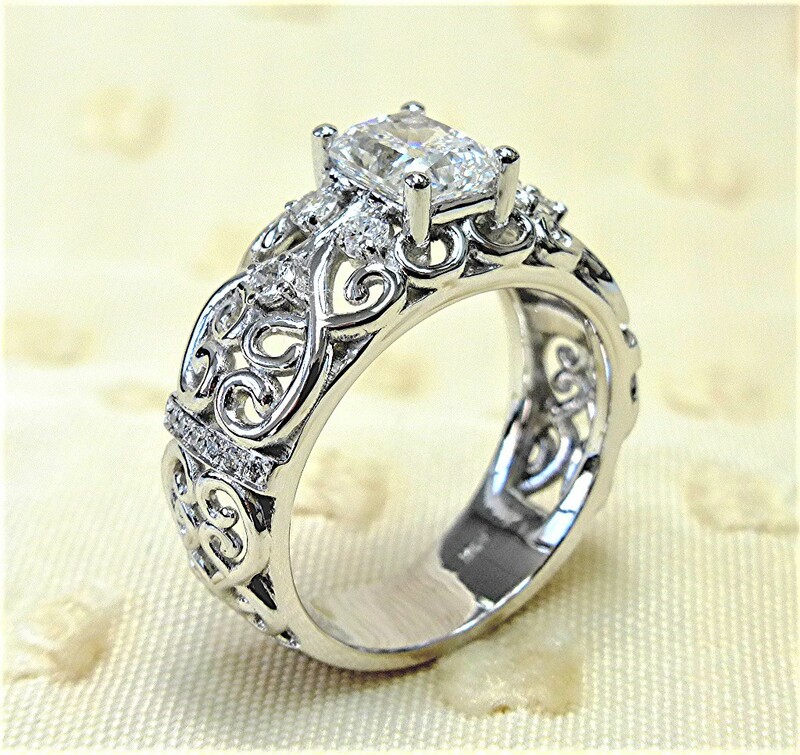 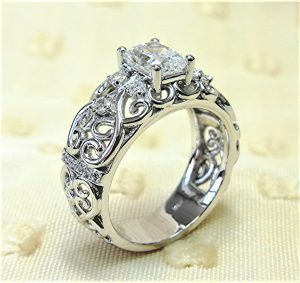 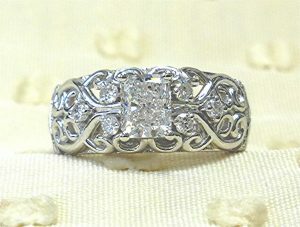 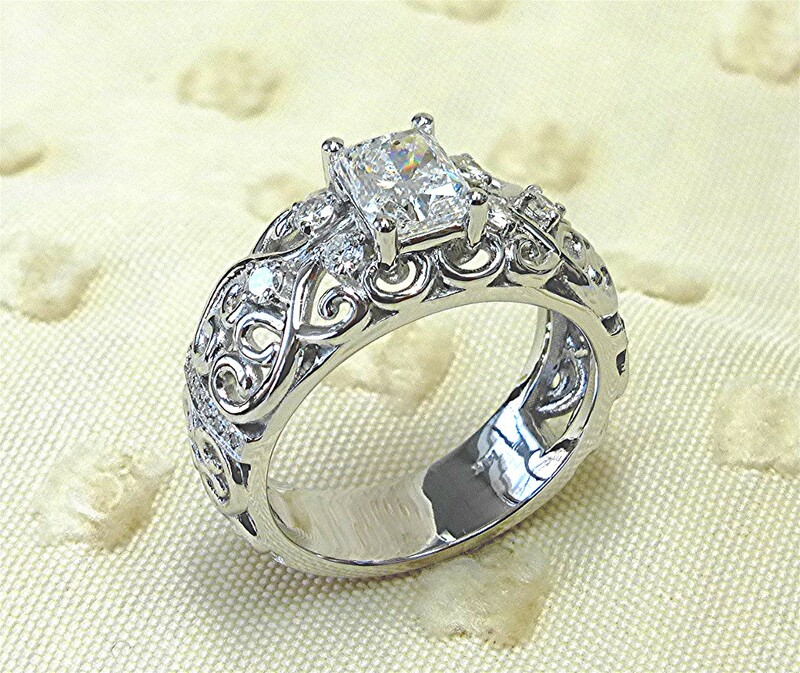 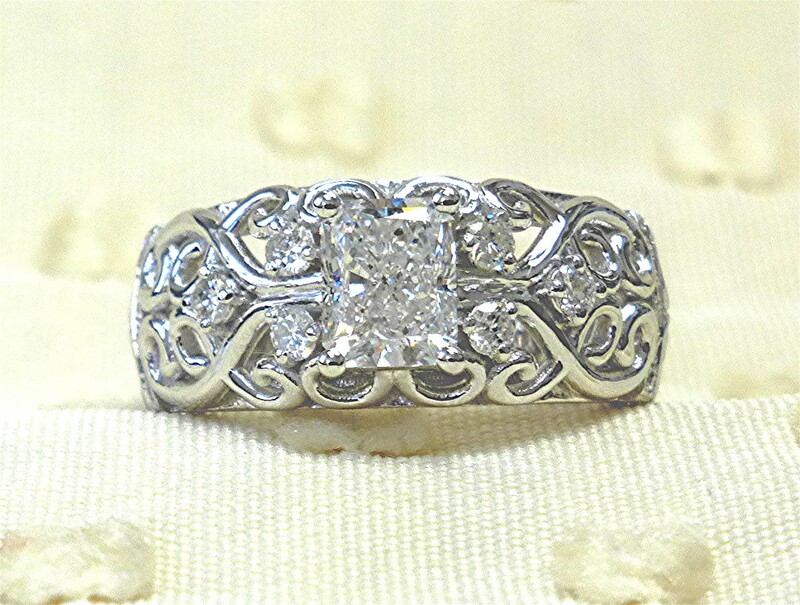 There are scroll work on the profile and under gallery of the ring. 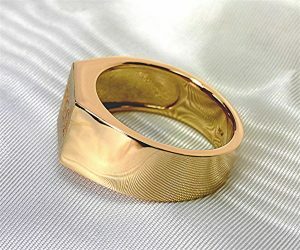 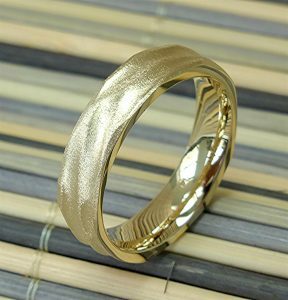 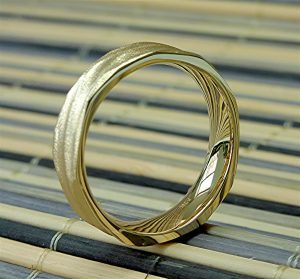 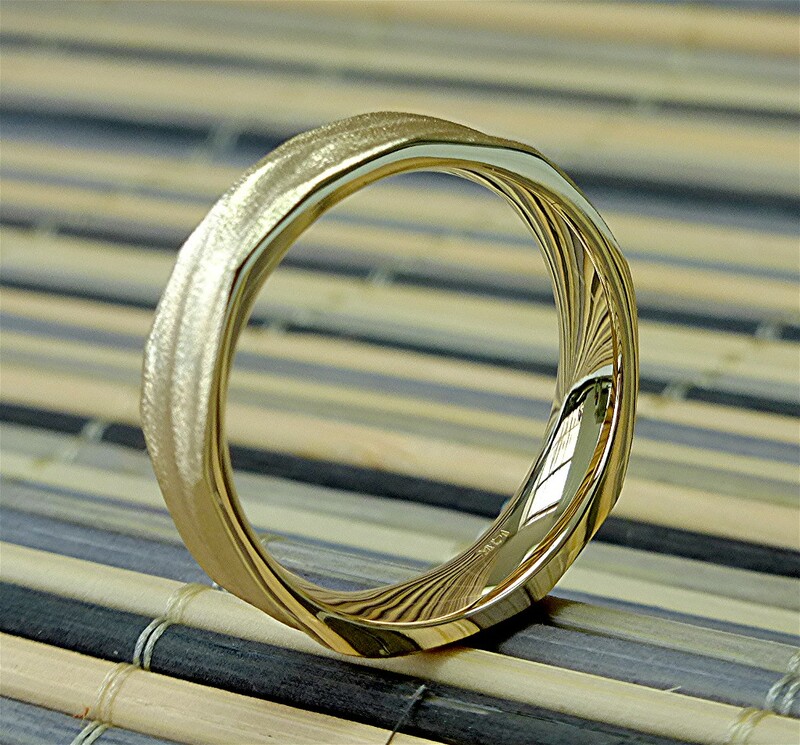 Free form, frosted finish, 5mm wide, 14 yellow gold mens ring, comfort-fit inside. 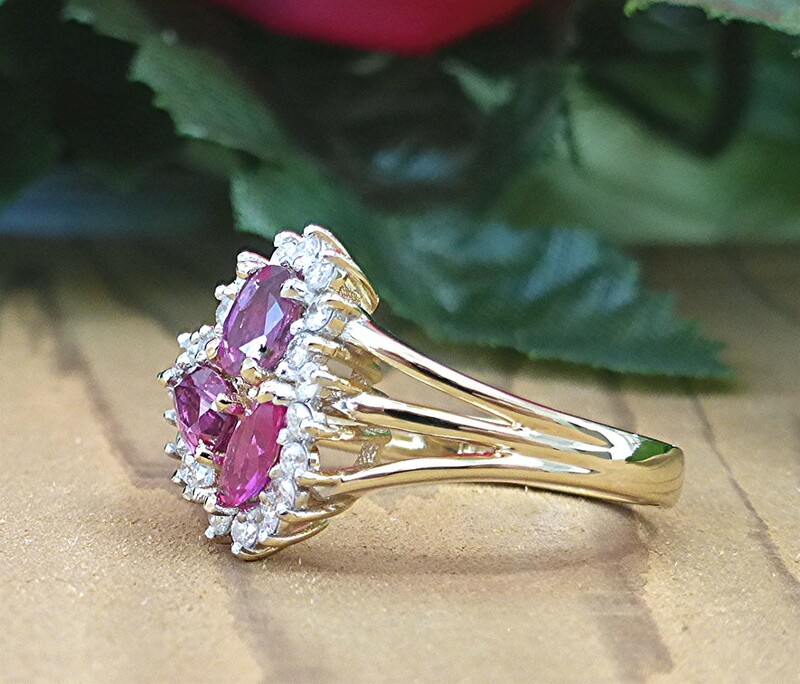 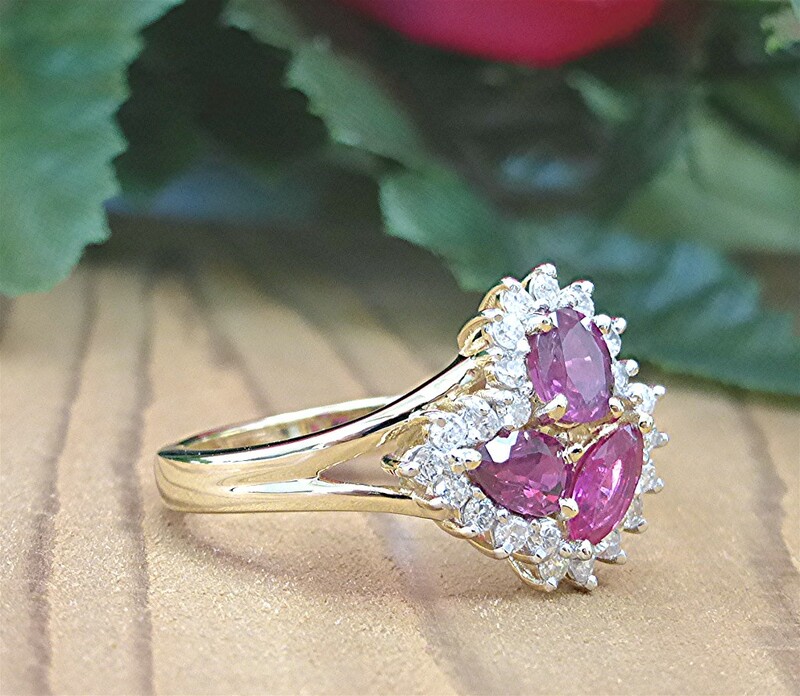 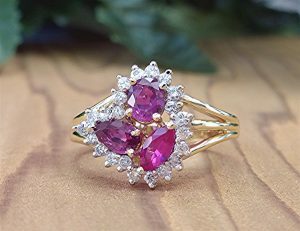 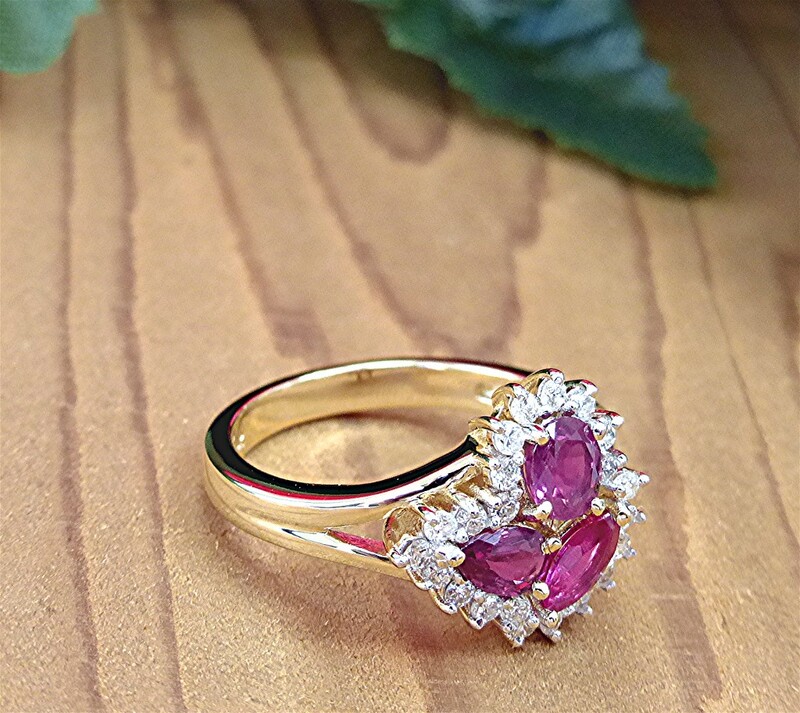 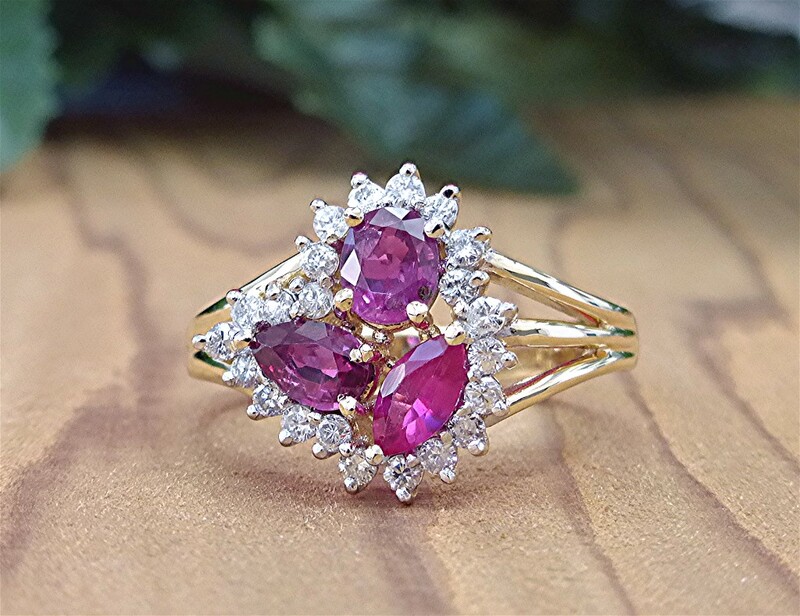 Cluster of oval, marquess and pear-shaped rubies surrounded with twenty-two round brilliant cut, prong set, diamonds mounted in 14k yellow gold.